Jonathan 'JohnFoot' Proudfoot scored a career-best cash by winning 888poker's XL Inferno Main Event. 888poker’s latest championship series, XL Inferno, reached its grand conclusion on Sunday, highlighted by the $1,000,000 guaranteed Main Event. In total, there was $1.32 million in guarantees up for grabs over the course of four tournaments. The juicy prize pools enticed players to create some of the largest fields of the entire series and helped all four contests crushed their guarantees. The last day of XL Inferno saw players take home the largest payouts of the entire 11 days. There was plenty of value to be had in the second Mega Deep event of the series. 507 players provided an additional 237 rebuys of the $215 buy-in to push the prize pool to $148,800. Longtime PocketFiver ‘Zebest7r’ from Canada outlasted the Netherlands’ ‘InJeBakkes’ to take home the $28,123 first place prize. The cash, which is only his fifth in 2018, ranks among the Canadian’s best and is added to over $1.6 million in lifetime earnings. For his part, ‘InJeBakkes’ doesn’t log off too disappointed, banking $20,608 for his runner-up prize. Also of note: $50,000 Crazy 8 winner ‘eltxupacabra’ finished in fourth place for $11,457 and the #71-ranked player in the world, ‘LeshiyAS’ ended up in eighth for $3,348, his fifth cash of the series. Two-time XL Inferno champ ’Sluuut123’ just missed the final table, bowing out in tenth place for $1,785. The Main Event soared past its guarantee as 855 players (304 rebuys) paid their $1,050 entry fee to create a massive $1,159,000 prize pool. 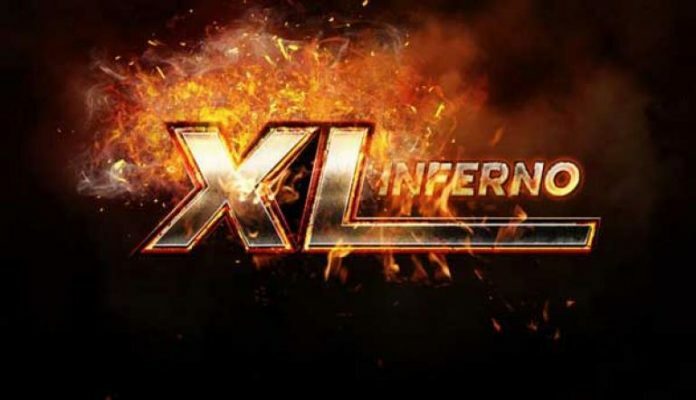 The payouts were far and away the most of any of the 34 events on the entire XL Inferno schedule and including three six-figure scores going to those who made it to the end. The winner was one of the UK’s brightest up-and-coming online players, Jonathan ‘JohnFoot’ Proudfoot. Proudfoot is currently the #30-ranked player in the world and just days ago, posted a career-high score of over $185,000 with a runner-up finish in Event #40-H of PokerStars’ SCOOP series. Now, less than one week later, he eclipsed his own personal best yet again as he earned XL Inferno’s top prize of $209,779 and the title of Main Event champion. The score pushed the Durham based pro past the major milestone of $2 million in lifetime earnings. Taking second place was Finland’s superstar Tomi ‘wellyxx’ Brouk who added just over $150,000 to the already stellar $31,000 score he earned for taking fourth in the $2,600 XL Inferno High Roller. Top-100 ranked ‘que_te_crio’ from the UK ended his Main Event in sixth place for $48,098, helping him climb to over $1.8 million in lifetime earnings. Also earning five-figure scores for reaching the final table was Brazil’s Felipe ‘mr.salgado’ Salgado who cashes out for over $36,500 and former top-10 ranked ‘ekziter1’ who wrapped up the series with $25,613. The second largest tournament of the day saw 934 runners (and their 404 rebuys) generate a prize pool of just over $200,000, ensuring that the top five runners would all walk away with five-figure scores. In the end, a deal was made between a pair of players from Malta. ‘pAAdentr0’ was declared the winner of the Mini Main and negotiated for the lion share of the first place prize. ‘pAAdentr0’ ended up with $33,832, surrendering a little under $2,300 of the posted first place in order to bring the contest to an end. His countryman, ‘Openpunks’ was on the other end of the heads-up deal and received $28,384 for second place. A pair of PocketFivers reached the final nine as well. Montreal, Canada’s ‘alexos888’ bowed out in sixth place, cashing for a name-appropriate $8,108.28, marking his third cash of the series. Also, ’carpediem14’, the #1-ranked player out of Kent, UK finished in seventh for $6,101. The score was a nice follow-up to his first-place finish in Event #65 of partypoker’s POWERFEST where he earned over $54,000. The final event of the 2018 XL Inferno series was the $30 buy-in Micro Main. The lower buy-in helped attract the most runners of the day as 1,672 players (703 rebuys) generated a prize pool worth $65,312.50. PockerFivers dominated the tournament endgame with five players making the final table, including the heads-up battle. Russian ‘SergeyRusko’ battles it out with Kim ‘Chipsssssss’ Decker for the final spot in the Champion of Champions tournament. After a back-and-forth battle, it was ‘SergeyRusko’ who broke Decker and walked with $11,032, leaving him just under $10,000 to reach his $500,000 lifetime career earnings badge. Decker’s impressive finish was his fifth XL Inferno cash and his largest at that. He earned $7,850 which easily pushed him over $250,000 lifetime. ‘adamka88’ from Hungary finished in third for $3,102 and right behind him in sixth place was fellow Hungarian ‘emzo2008’ who collected $2,481 for his efforts. Finally, Thiago ‘quen8’ Galdino from Brazil earned just enough to push him over $50,000 in career earnings, adding $705 to his bankroll.